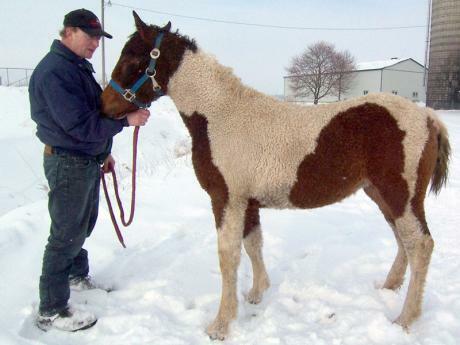 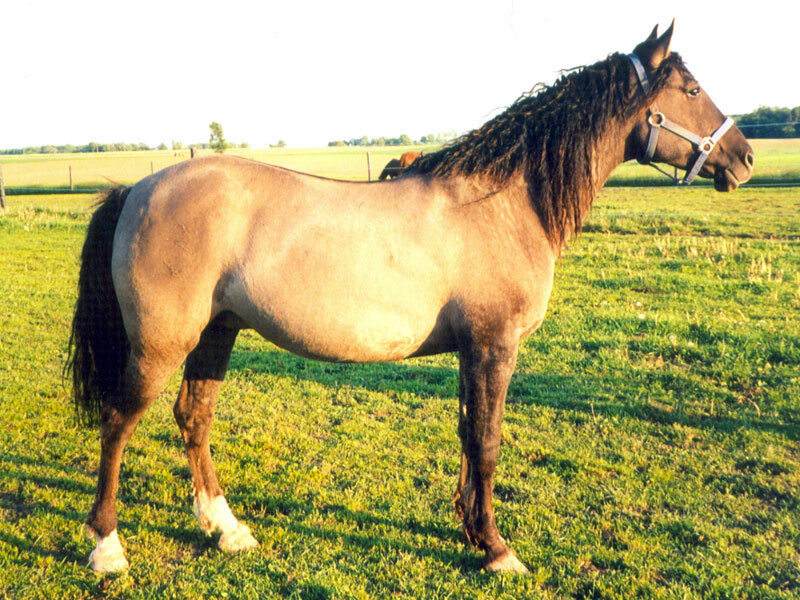 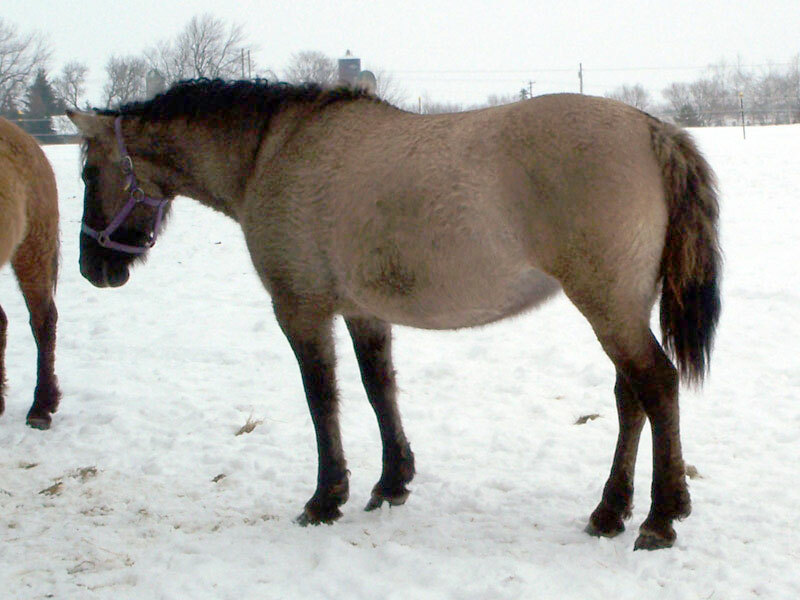 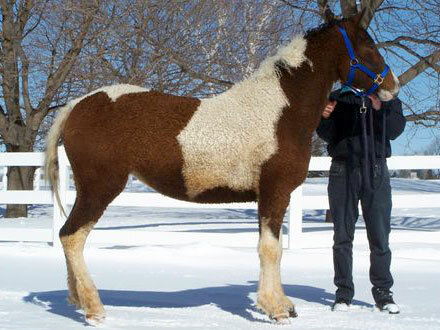 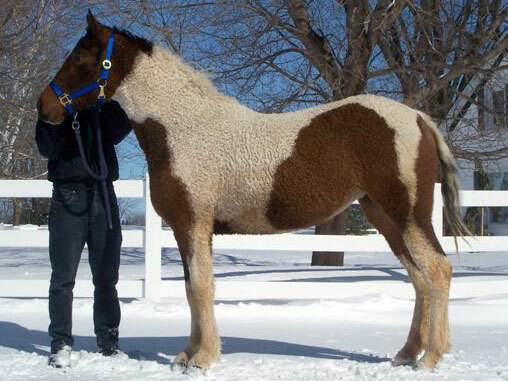 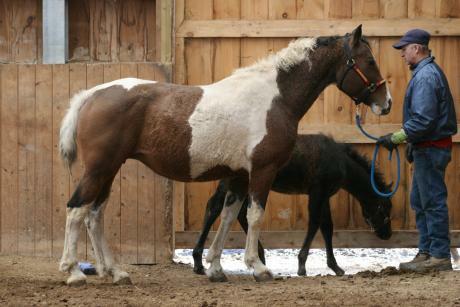 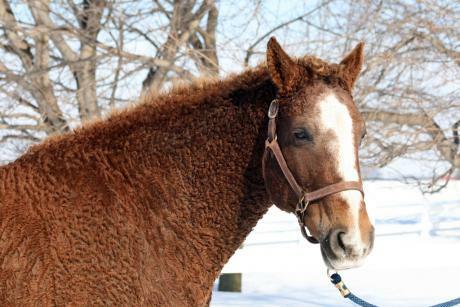 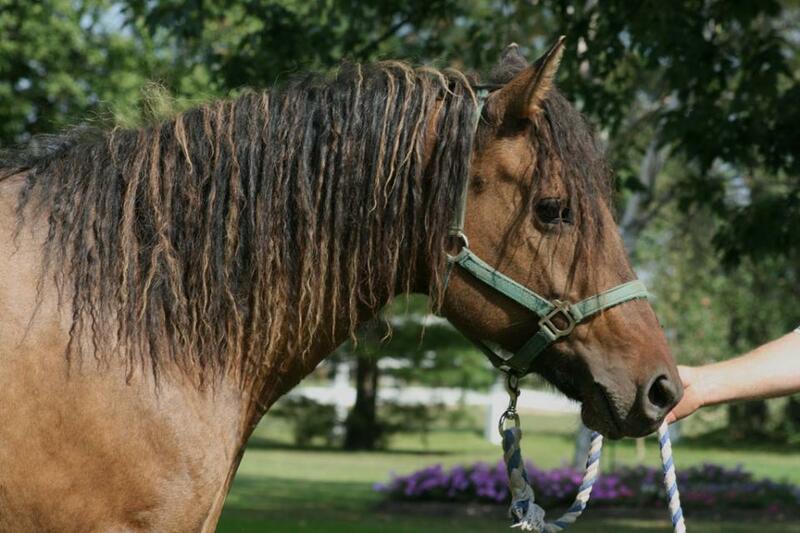 This mare has very little mane and tail, but always has very curly foals. She has a pretty head and nice conformation. 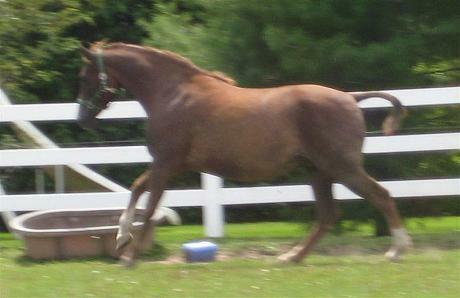 Her movement is very smooth and even with a long stride. 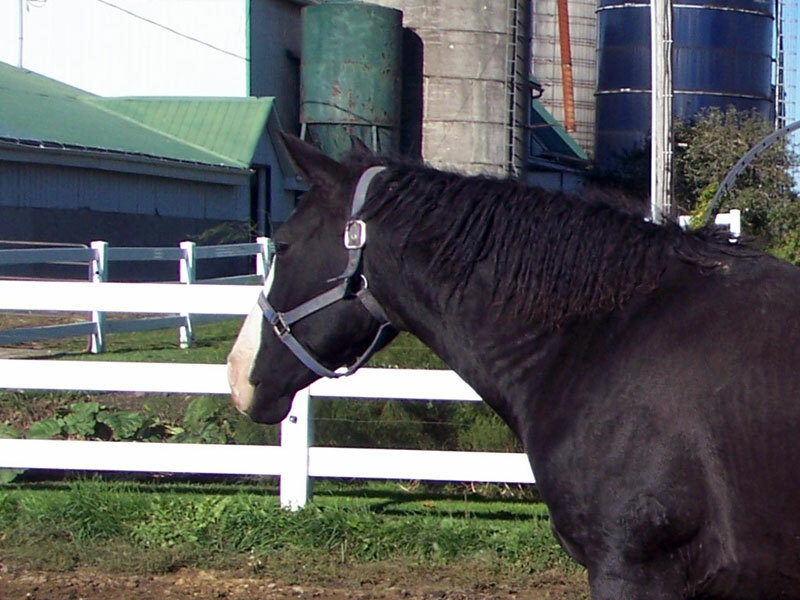 She is exceptionally docile, making a great trail riding horse, never spooking about anything on the trail. She is a little over 15 hands. 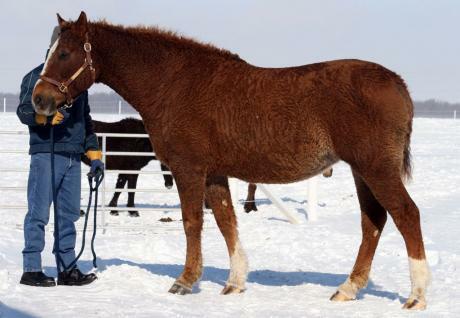 * RR LaBamba came here from Yanagi Stables. 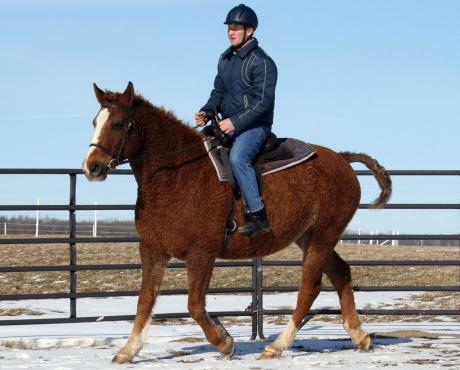 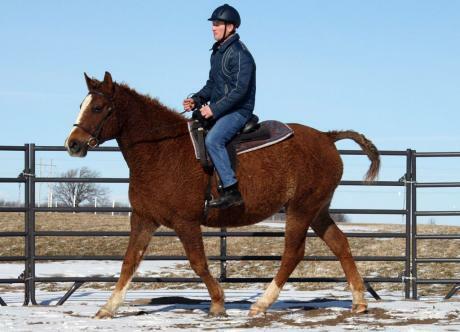 I had always really liked LaBamba while visiting at her previous home, so when she was offered for sale, what could we do but buy this lovely mare and welcome her as part of our Curly Horses. LaBamba measures 16 hands and her three full siblings range from 15.2 1/2 to 16.2 hands. 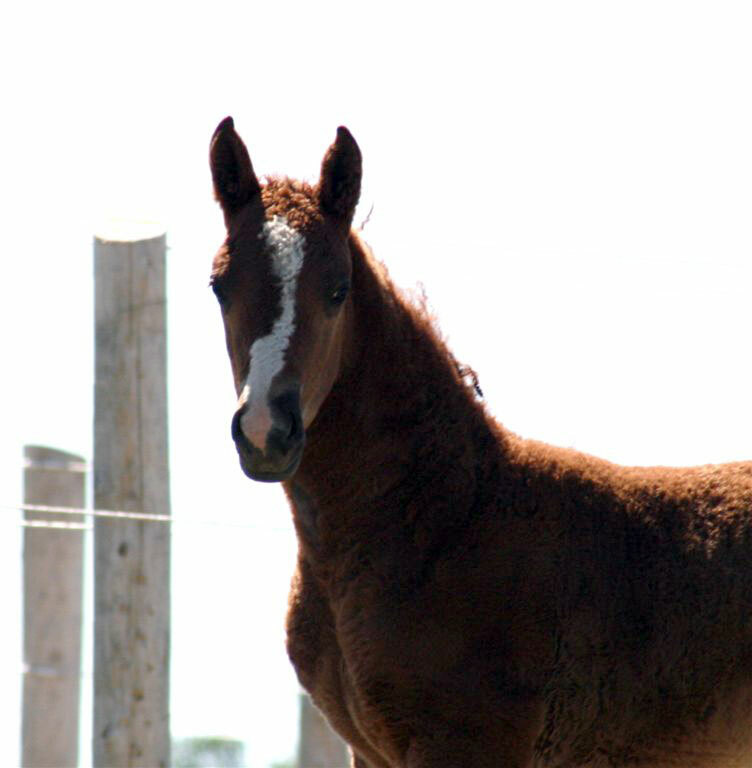 LaBamba has given us some lovely foals which reached 16 hands or more at maturity. 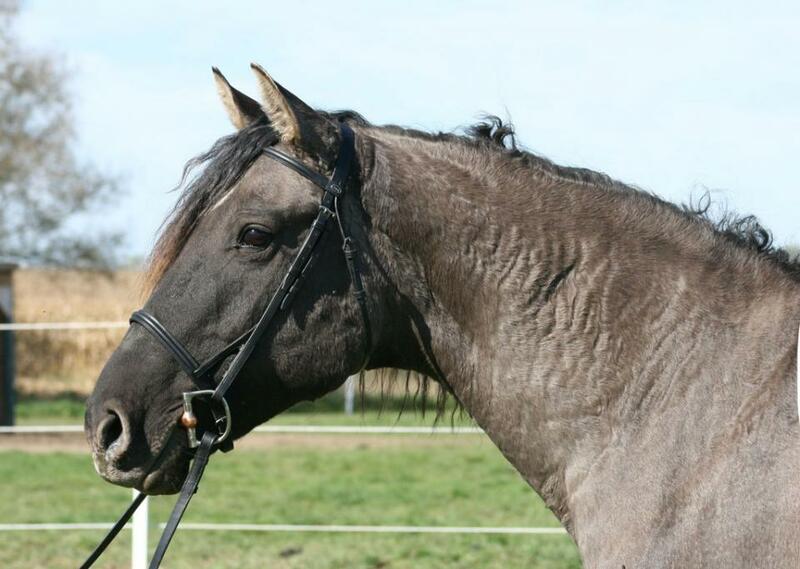 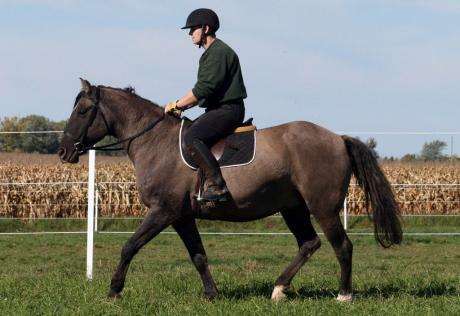 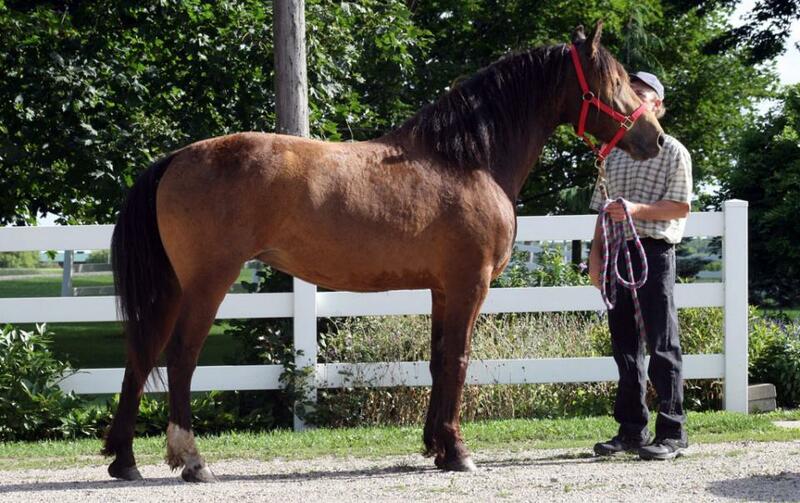 LaBamba is a powerful horse with a sweet temperament and lots of stretch in her movement. She has the smoothest trot to ride. 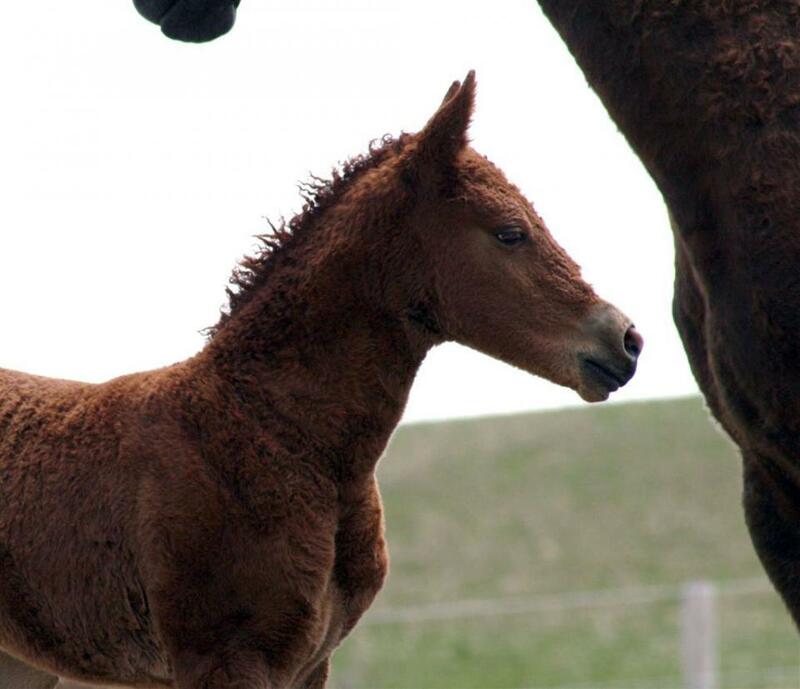 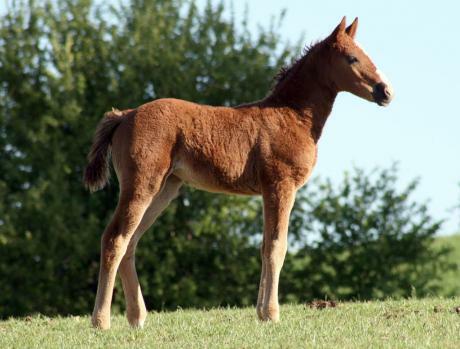 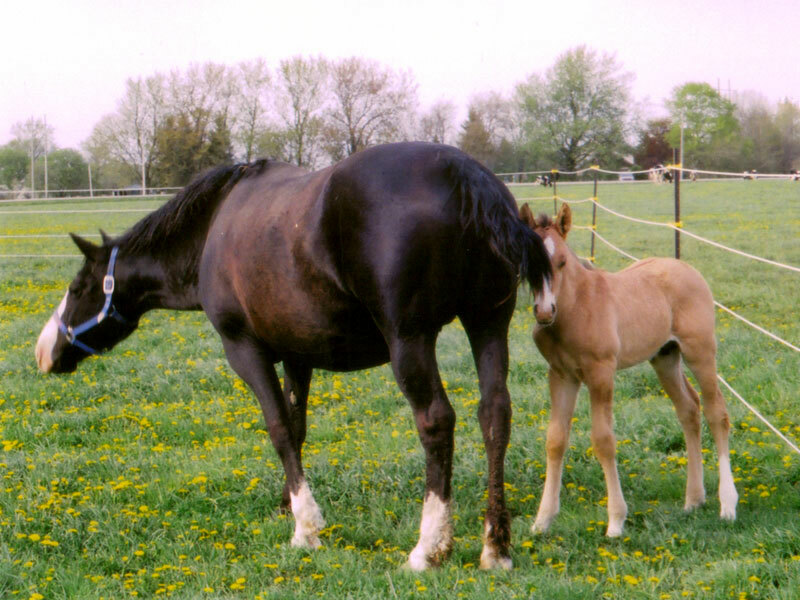 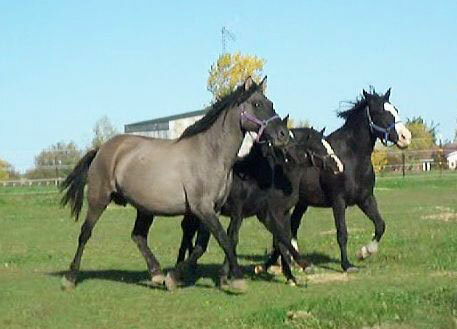 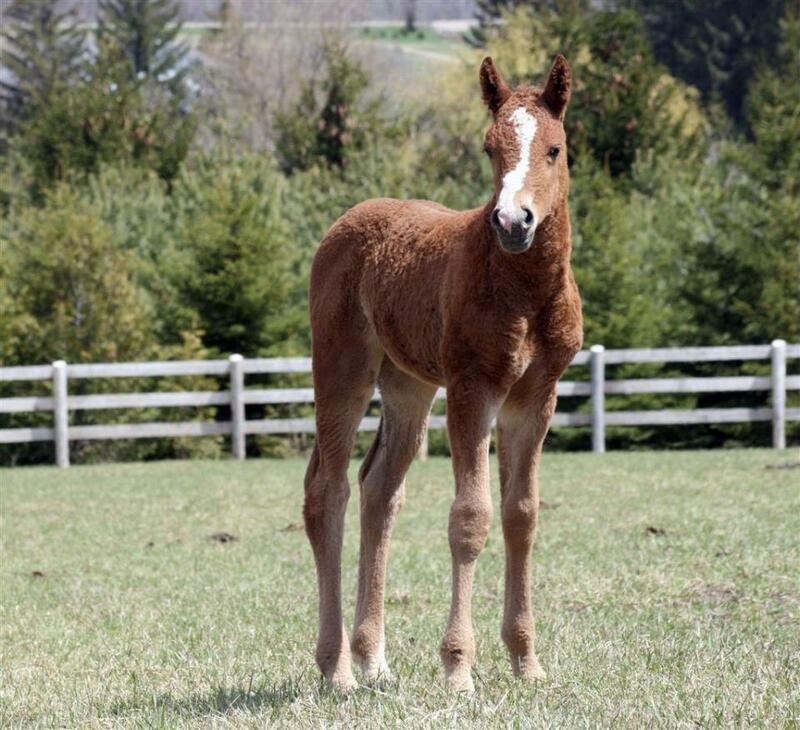 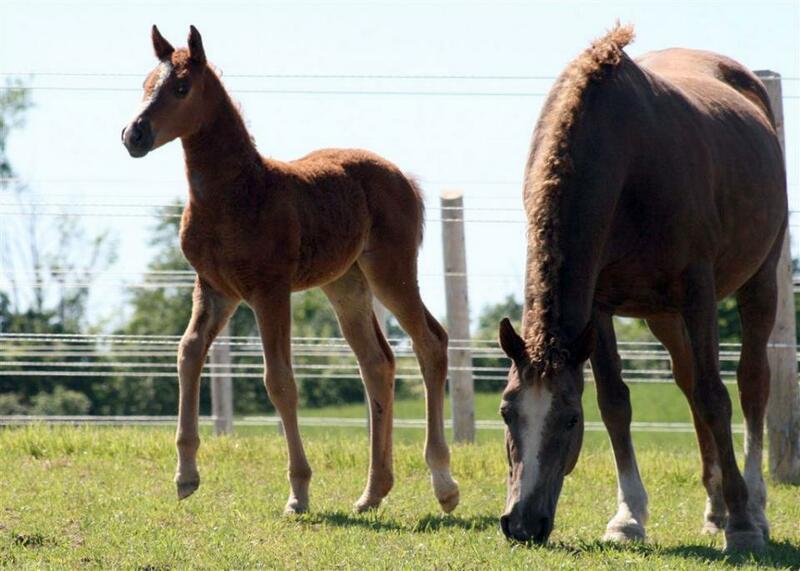 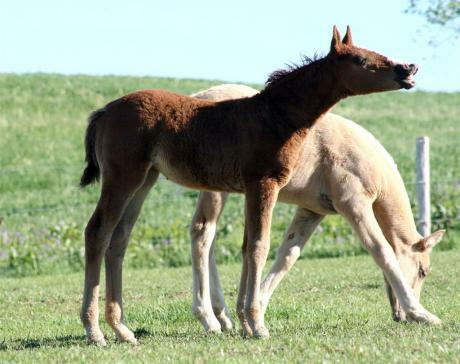 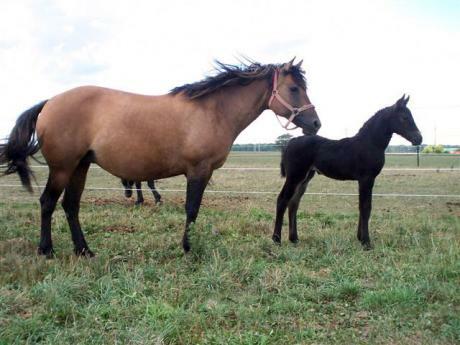 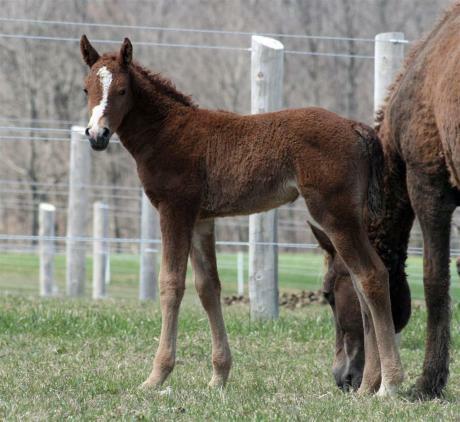 We hope to raise some quality sporthorse foals from LaBamba, ones with the genes to grow very tall and athletic. 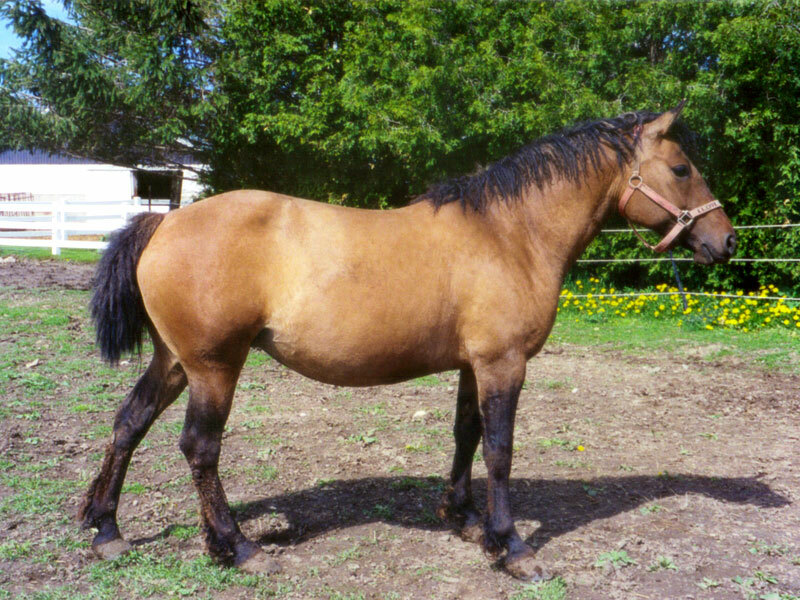 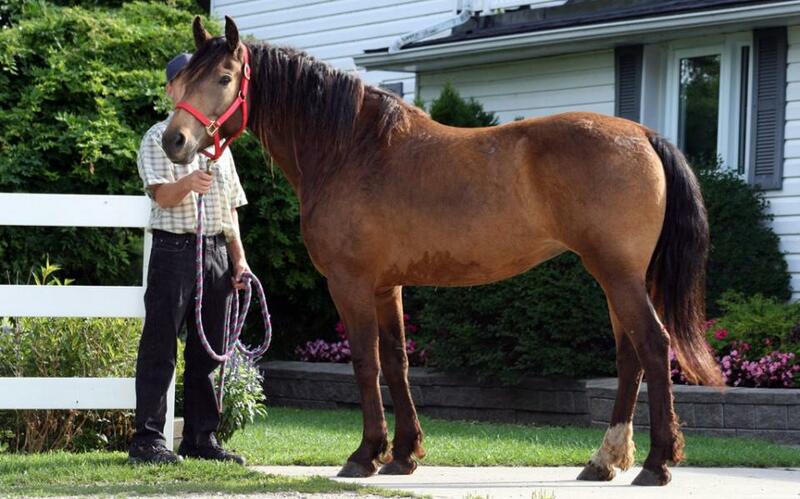 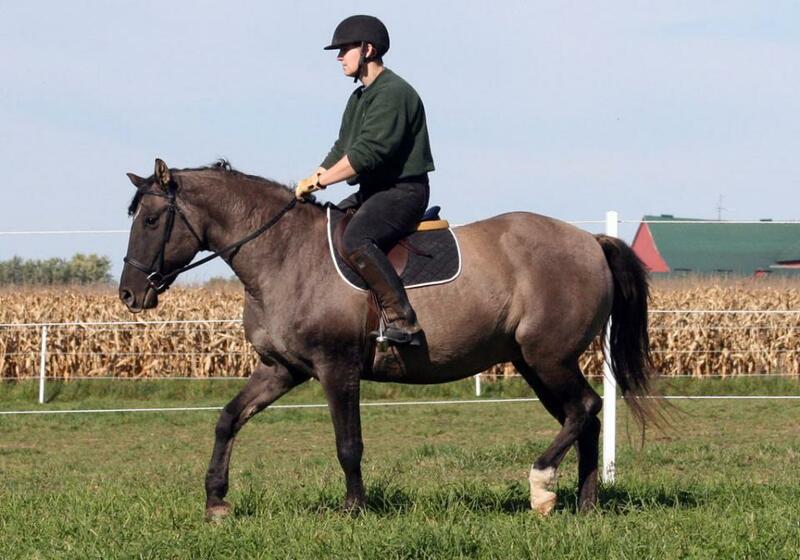 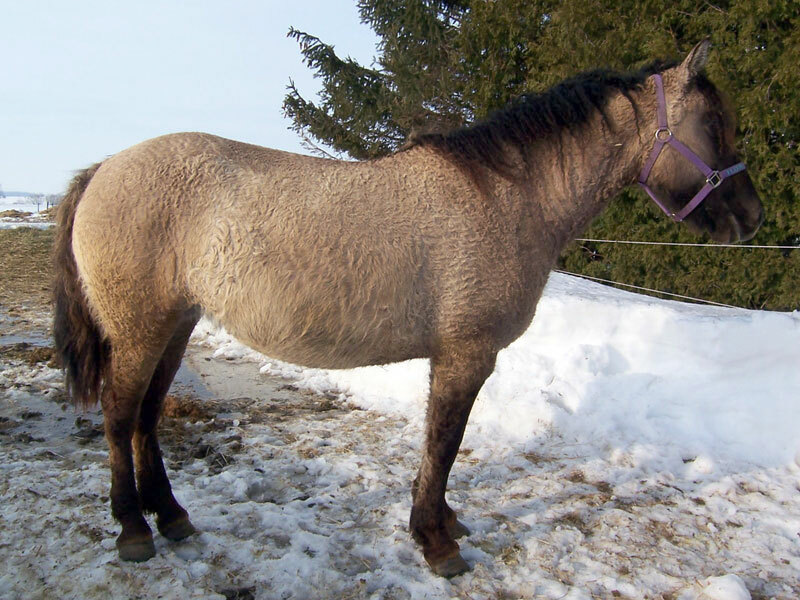 Mona is a 15.3 hand beautiful buckskin mare that seems to catch most people's eye that come to visit. 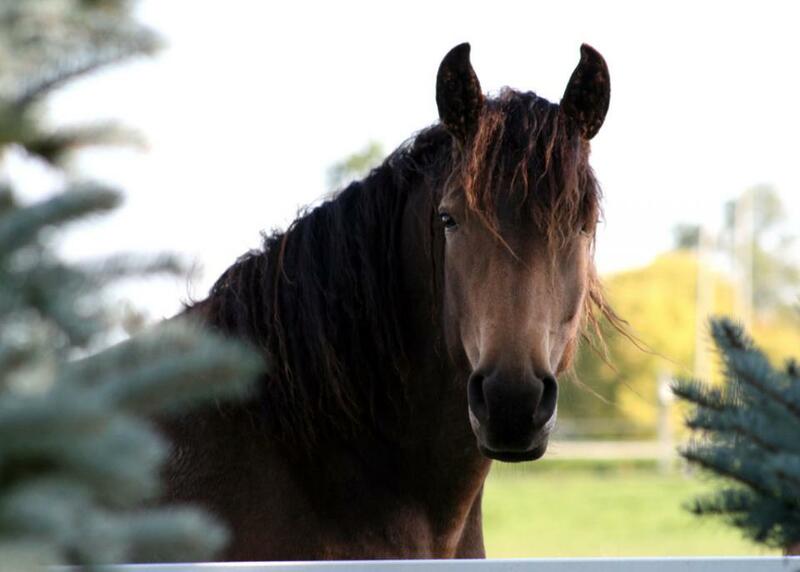 She has a caring demeanor, tries very hard to please, and follows me around like a loyal puppy dog. 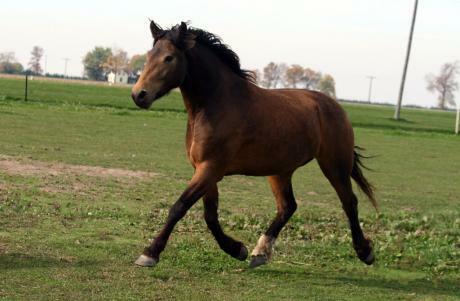 I love her personality, her conformation, and her movement. She is such a unique mix of gentleness, presence, and intelligence. 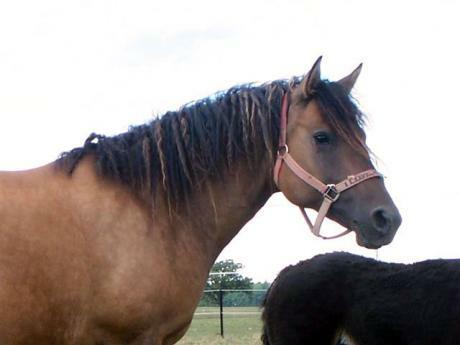 Thanks Sheila for allowing us to buy her. 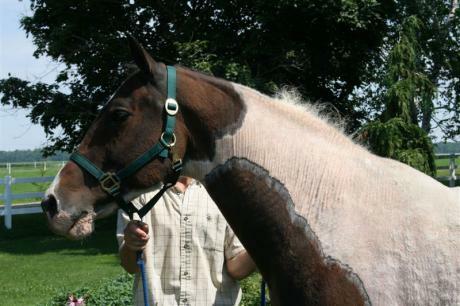 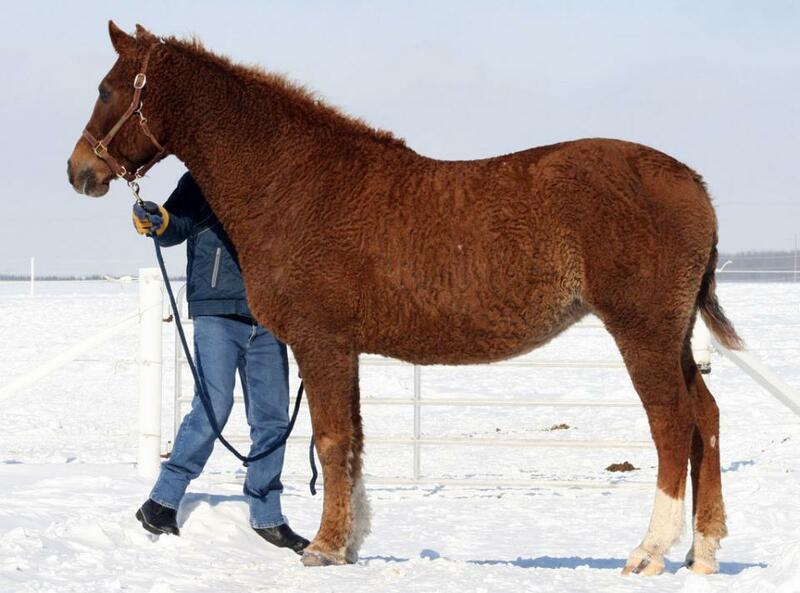 This mare came here as a horse with no handling. 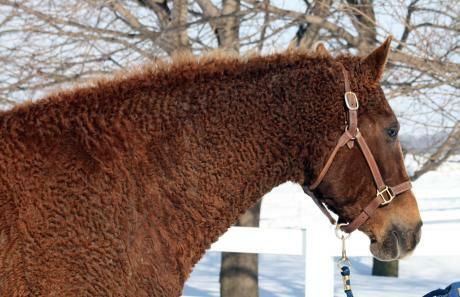 She now leads and loves her scratches from head to tail. 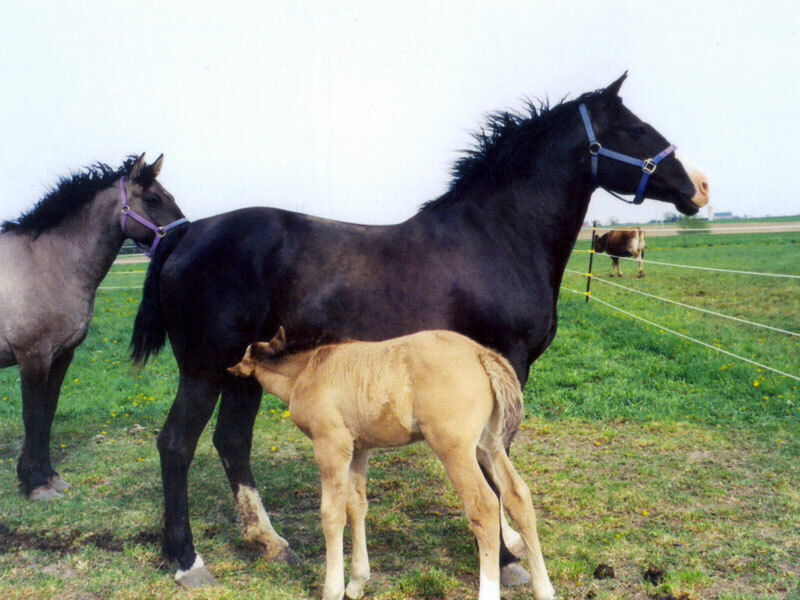 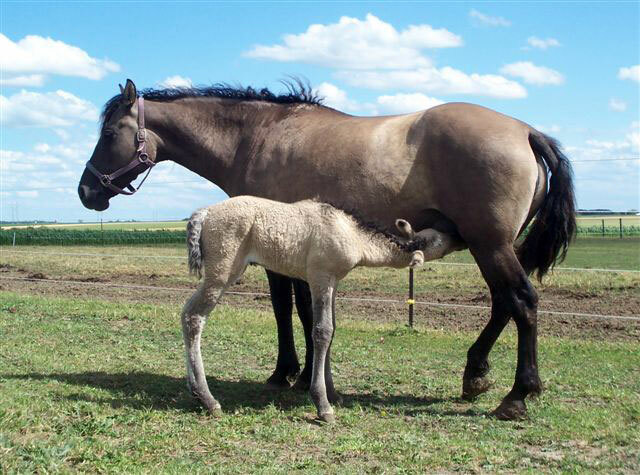 She has a kind, gentle nature which she passes unto her foals. 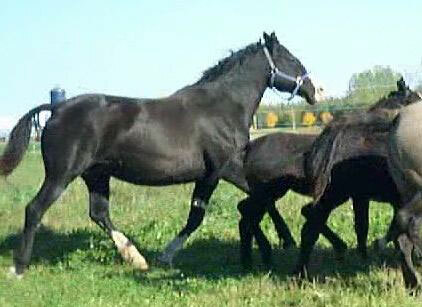 Ebony has also proven to pass her size unto her off-spring. She has a 5 year old (Lightning) over 16 hands, a 4 year old (Gryphon or Thunder) at 16 hands, and a 3 year old (Mystique) at 15.2 hands. Ebony keeps a full mane and tail. She is a large horse at 15.3 hands. 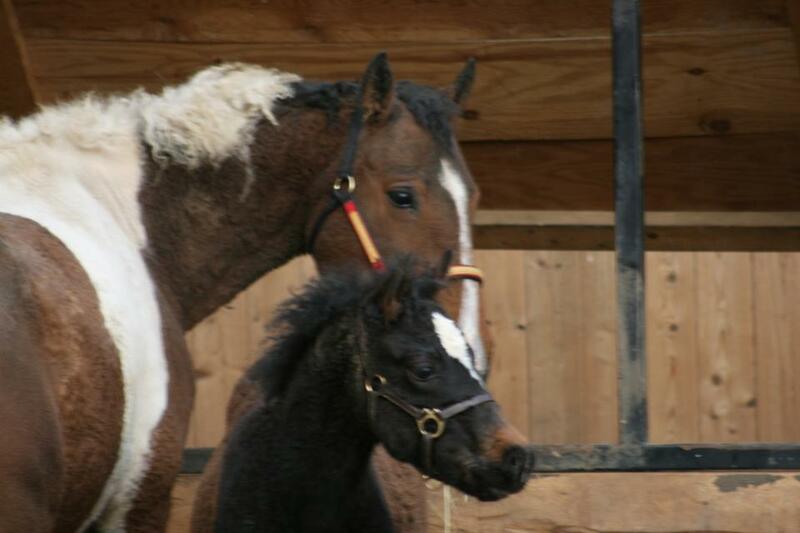 After searching for a large black mare with lots of black down the line in her pedigree we found her at Joe Meads. 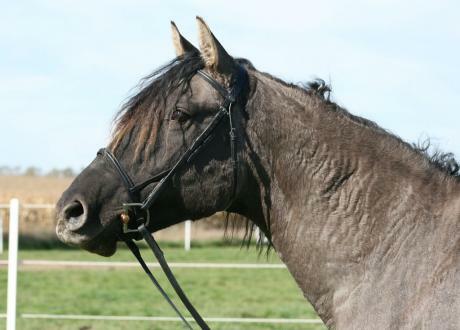 We didn't expect to find another brood mare with the pretty grulla colour, but here she is, with a pretty head and kind eye. 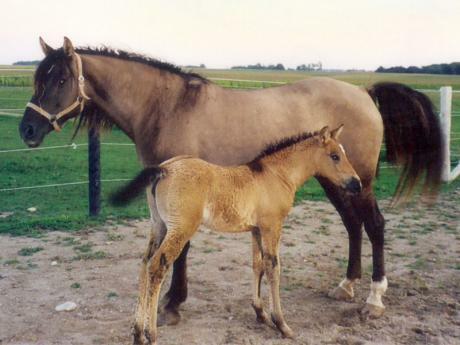 Spirit Lake Grulla also comes from Joe Mead's herd out in North Dakota. 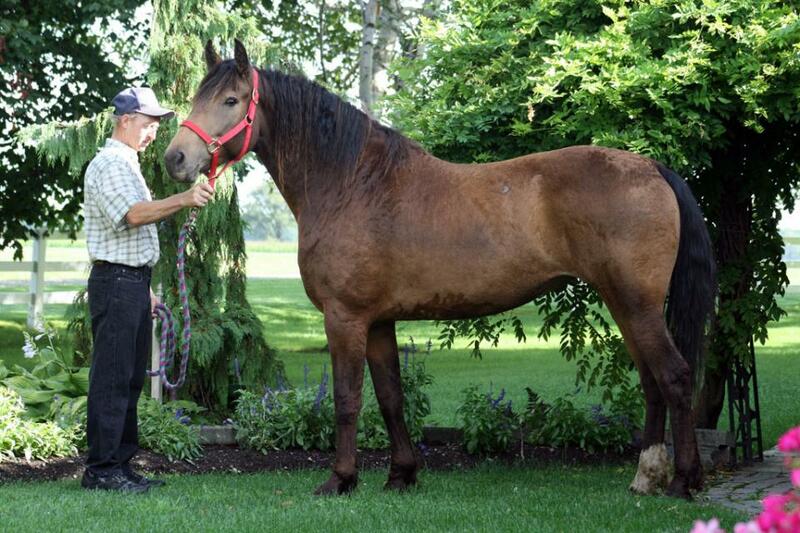 What a priviledge to have had the opportunity to meet Joe and his horses! 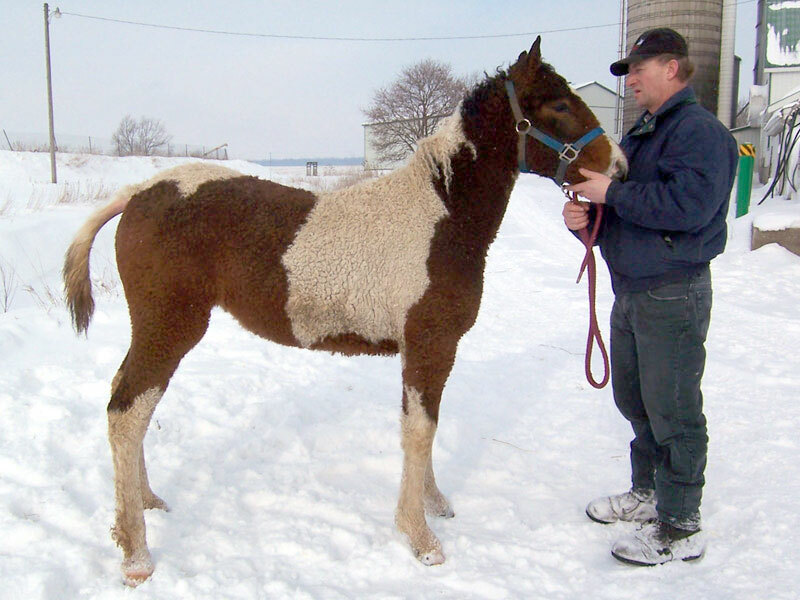 Spirit Lake Grulla stands around 15.2 hands and has given us many quality foals over the years. 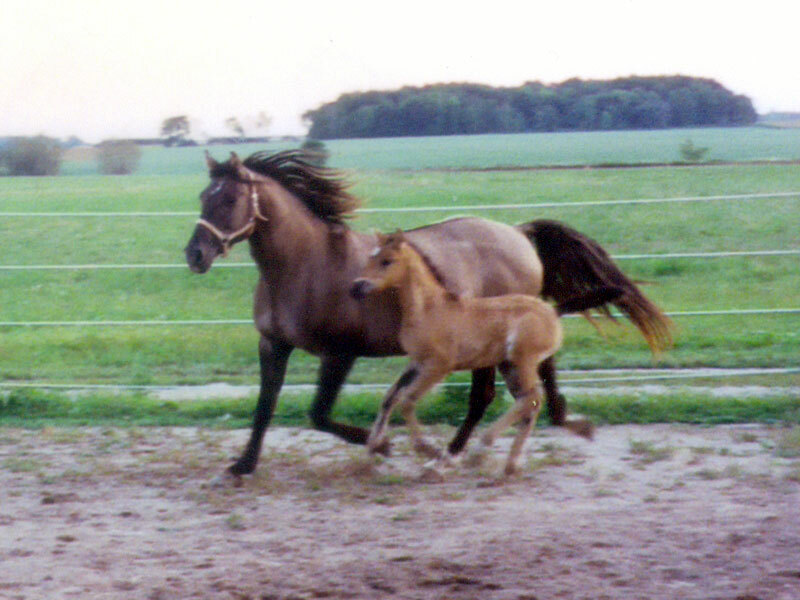 This was the first horse to make friends with us, of the Joe Mead horses we brought home. She now leads and loves attention. 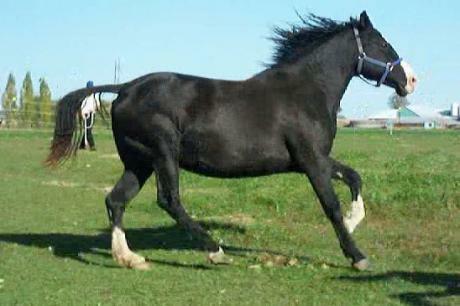 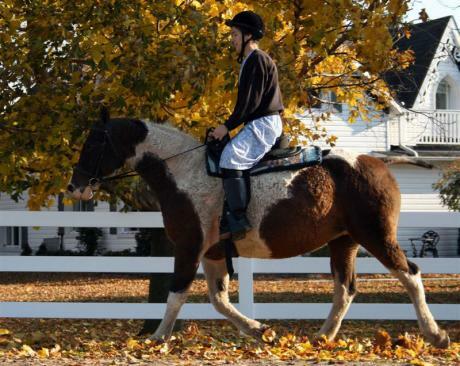 She has a floating trot. 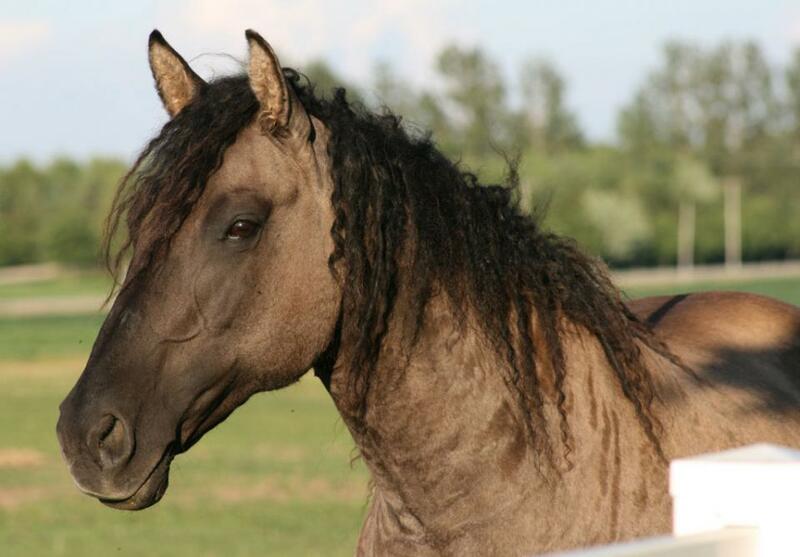 Beauty has a pretty head and correct conformation. 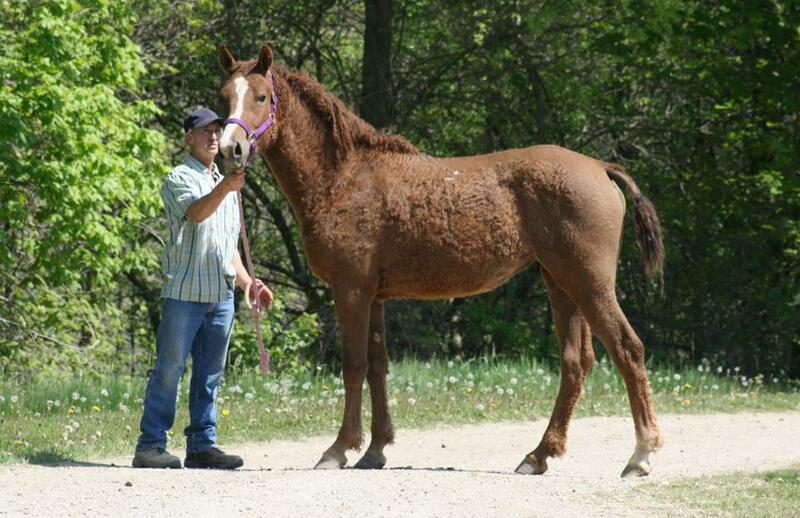 She is a smaller mare at 14.3 hands. 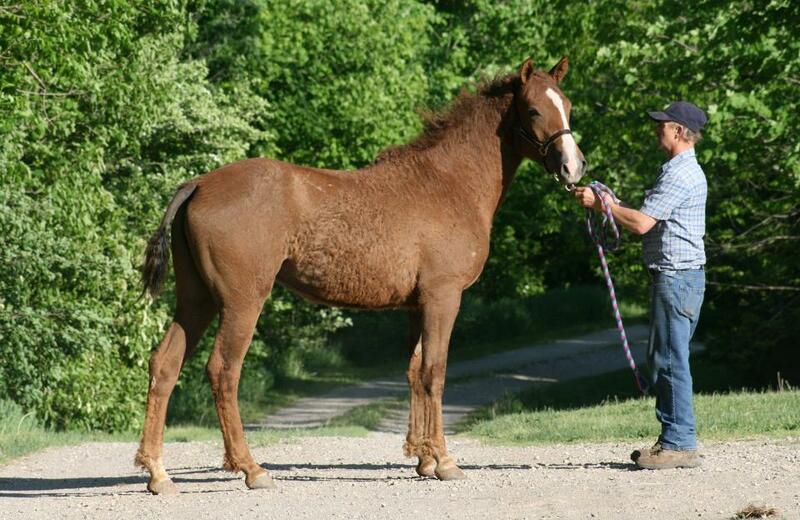 We will be keeping this fillie as a future brood mare to pass on the * Precious Marble Fire and Pinto Pete lines. 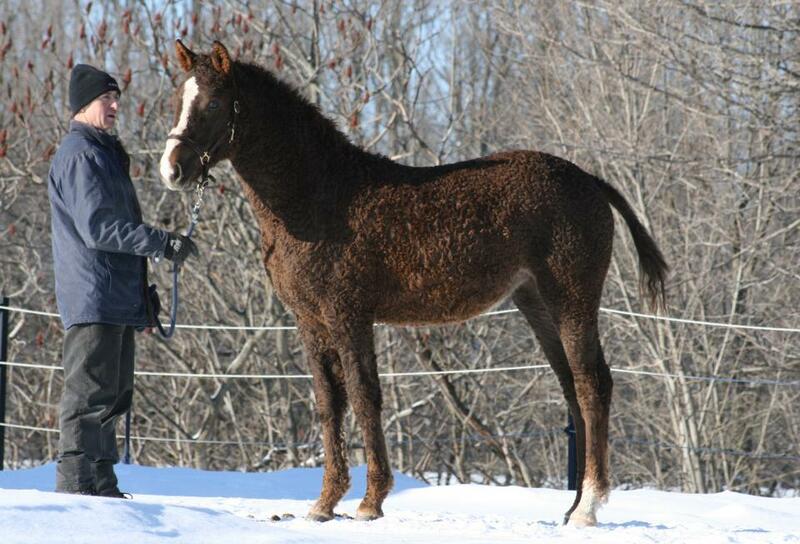 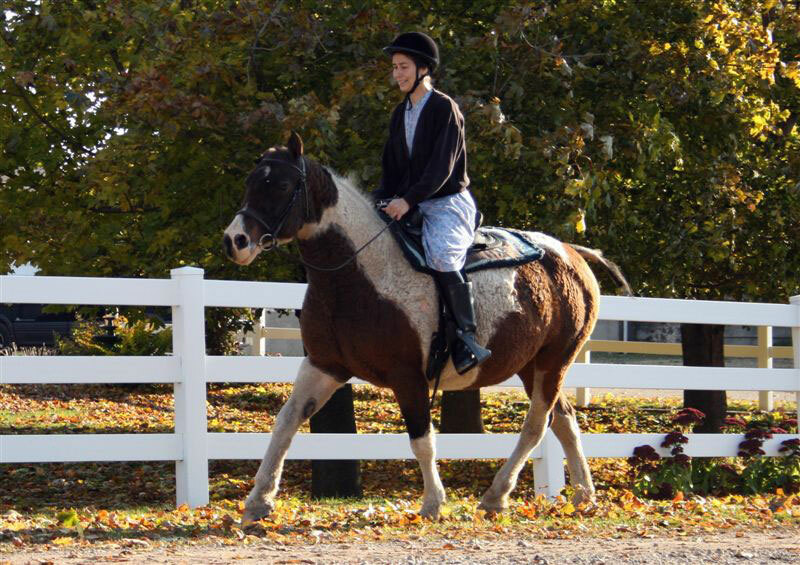 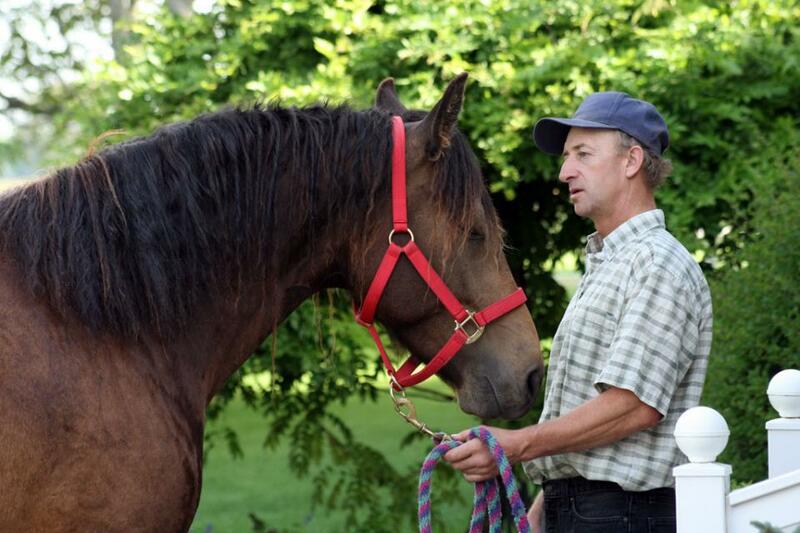 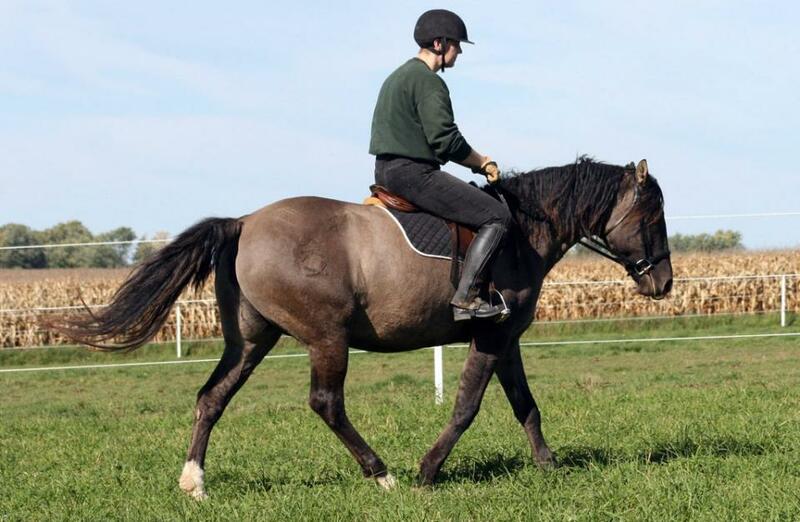 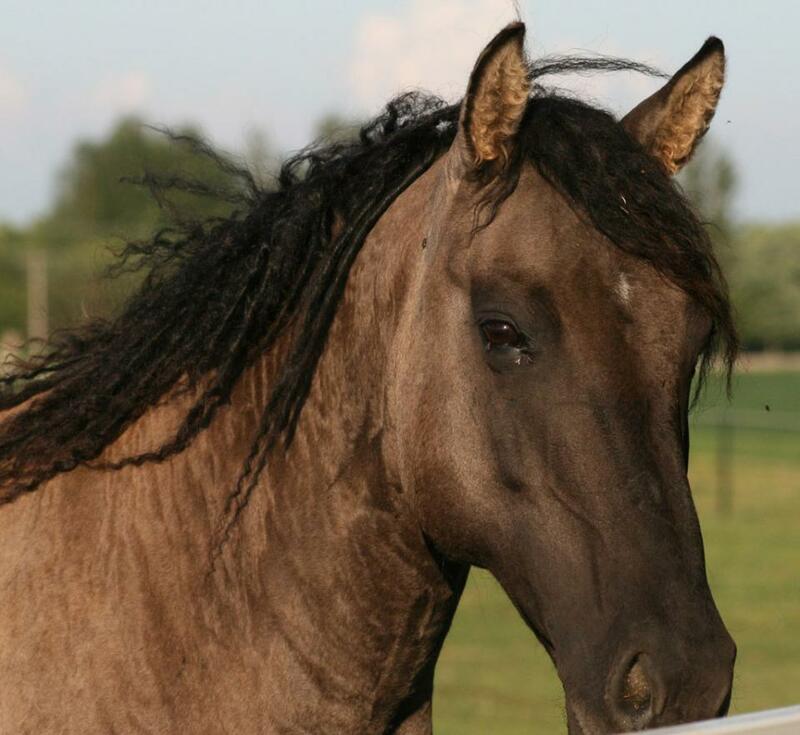 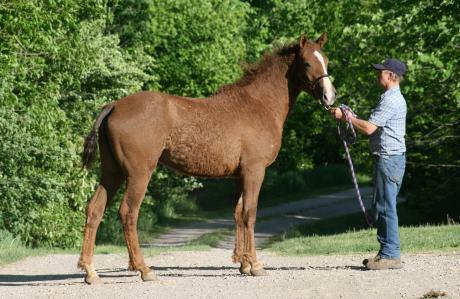 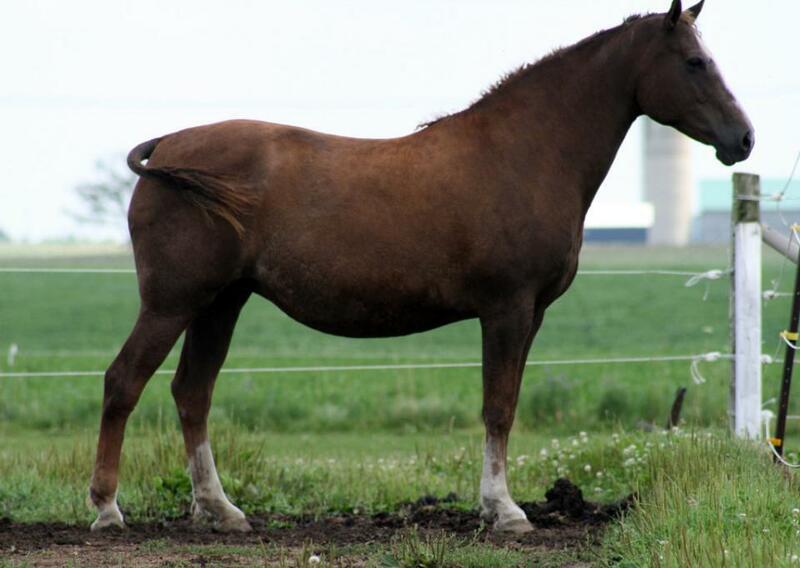 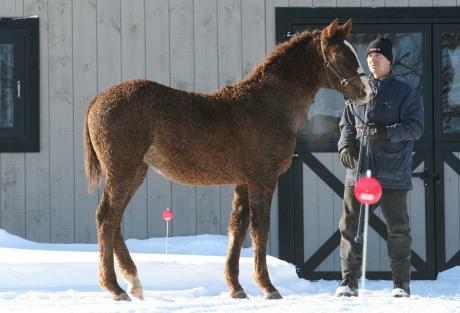 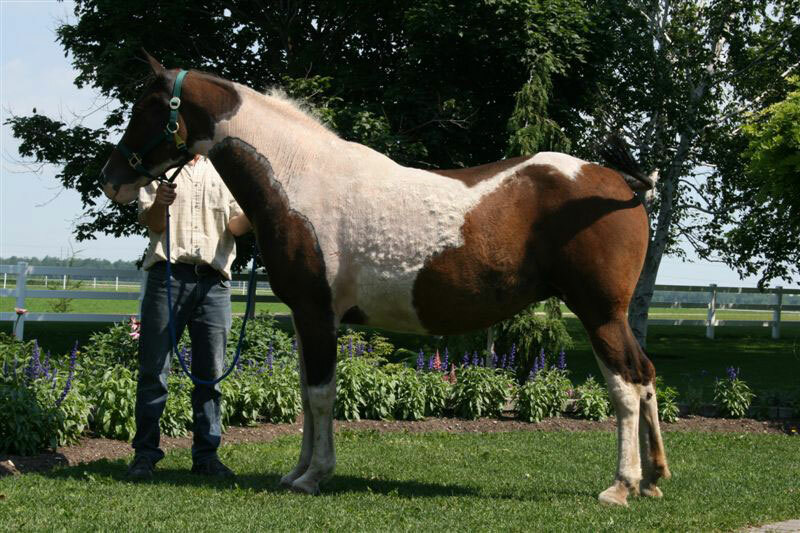 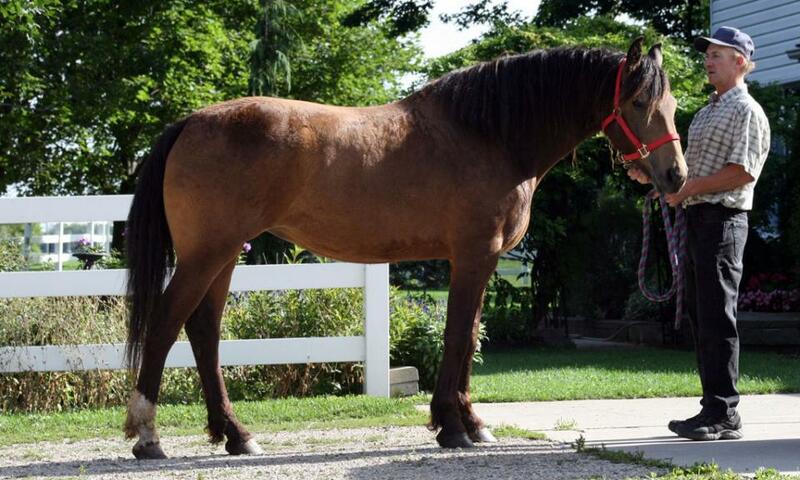 Kanene is a liver chestnut young mare with proven bloodlines for size and performance as a dressage horse. Early indicators predict Kanene as easily maturing at 16 hands or more. 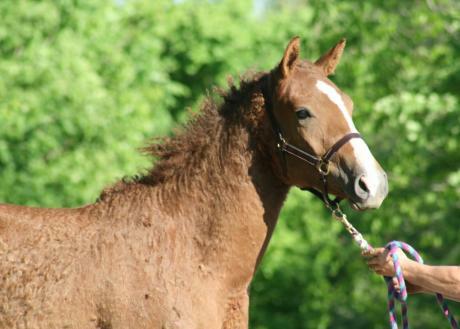 As a 3 year old she measures 15.3 hands. 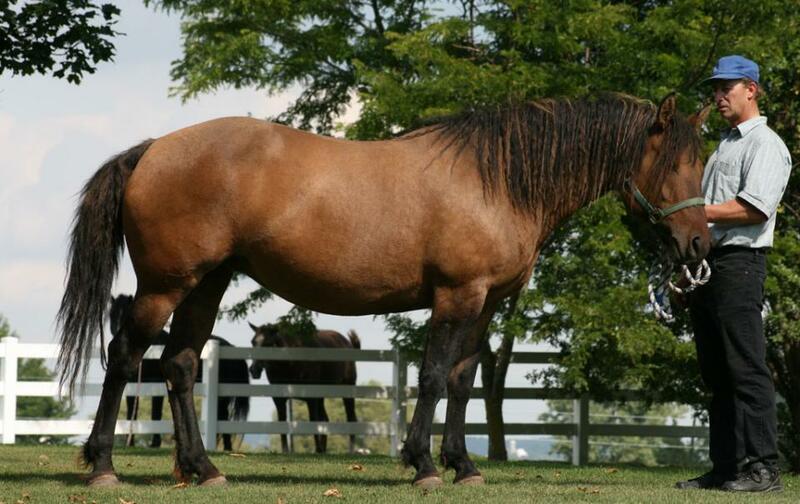 Kanene looks much like her 16 hand dam LaBamba who has given us off-spring as tall as herself or more. 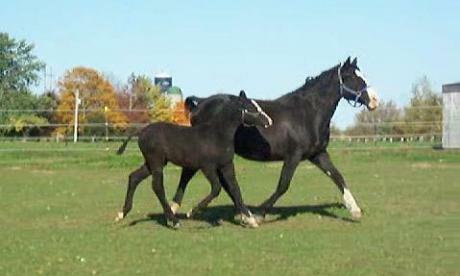 Her sire Black Diamond has many ribbons and awards in dressage. Kanene's movement is floating and she has a nice free shoulder giving her extra reach and length of stride. Kanene is put together correctly and has a pretty head with a kind eye. 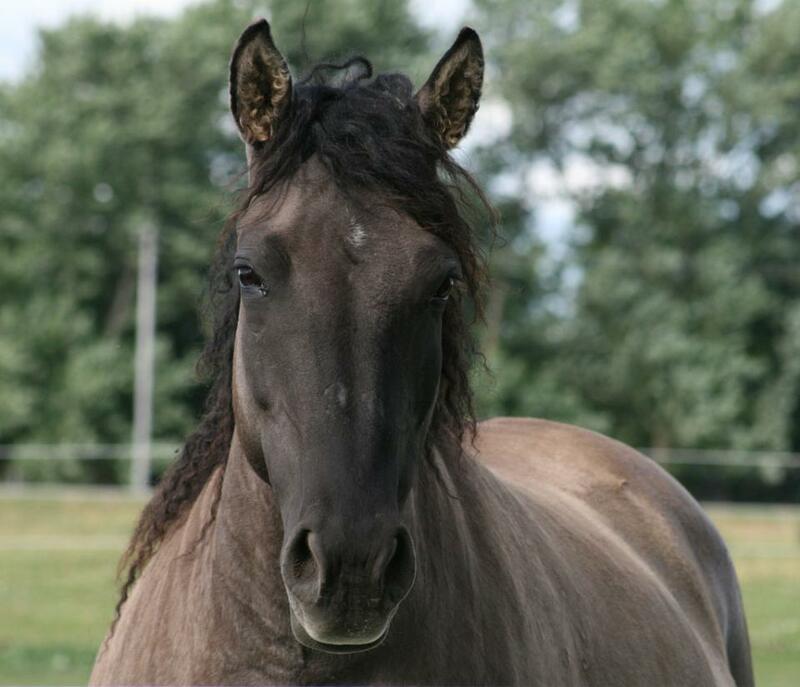 She is very sweet to work with and loves practising her ground work, being groomed, picking up feet, or just hanging out with her humans. 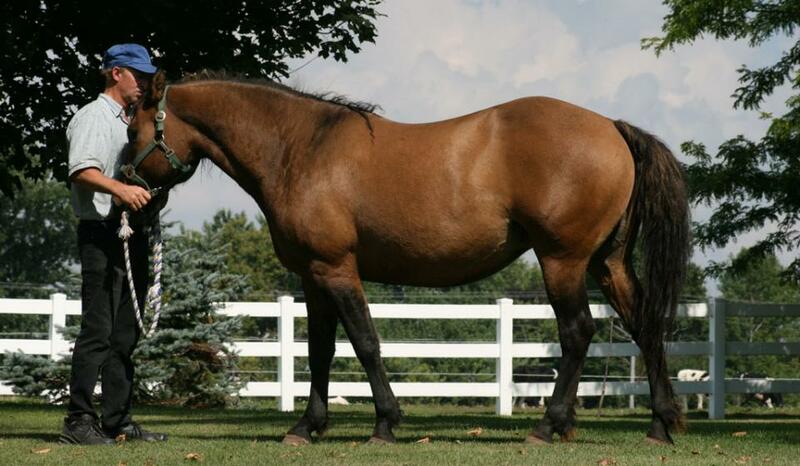 Update: Kanene is no longer for sale as we will be keeping her for our breeding program.